I’ve Been Declined for a Mortgage, Now What? For many, homeownership is an important life goal. Are you searching for a starter home that can grow with you as you raise a family? Or, maybe you’re planning on being the only occupant in the new place… whatever your situation, owning your first home is a great financial accomplishment that first time buyers can take pride in. But, as exciting as the prospect of purchasing your first home is, many Canadians are facing one big issue: getting approved for a mortgage. A Mortgage... it’s a reality of homeownership that everyone has to understand, but while many new homeowners are getting mortgage loans from the bank, even more would-be buyers are being turned away. The first is that you aren’t alone. Borrower rejection rates have risen as much as 20% since the new mortgage qualification rules were implemented last year. If you are declined a mortgage loan, the numbers suggest that you’re in good company. The second thing you should know if your mortgage application is denied is that you still have options. You can still achieve your dreams of owning a home. If your mortgage loan application was declined, fear not – your first move shouldn’t be looking for a place to rent. First, you need to find out exactly why you couldn’t get a loan. Lenders are usually happy to provide the reason why an applicant was denied, so you should take advantage of this information to determine the best course of action moving forward. One of the most common reasons why Canadians are denied loans is due to their credit history. If you have a bad credit score, it acts as a warning to lenders that you might not be a good candidate for a mortgage loan. But, what if you don’t have a credit card, car loan, or line of credit? How could your credit negatively affect your loan eligibility in that case? For some, their credit score may not be high enough due to the fact that they haven’t borrowed and repaid enough money to result in a good rating. Lenders are wary of borrowers with minimal credit history – they’d still be taking a risk that you’d fail to repay your mortgage. If a lender indicates that your bad credit score is the issue, you should first double-check that your credit report is accurate, and then start working to make it better. Proof of income can be another reason why borrowers are denied a loan. If you are a business owner, or, if you are self-employed, it can be harder to get approved by major lenders. Many lenders associate unpredictable income with a higher risk of non-payment. Even if this isn’t the case with your business, remember that a lender is always looking to protect their investment, regardless of how unique your situation is. Finally, debt may be a big factor that prevents you from getting approved. When lenders look at your financial health, they examine your debt service ratio. Your Total Debt Service Ratio (TDS) is a calculation of your family’s monthly mortgage payments, property taxes, and other debt payments divided by your family’s gross monthly income. If a lender finds that monthly mortgage payments would be too great a burden on your TDS, they will likely decline your application. There are a lot of great calculators online that can help you determine your TDS. 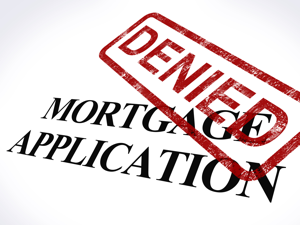 These are some of the most common reasons why mortgage applicants are denied, but knowing why your mortgage application was declined is only half the battle. Next, you’ll need to find another way to get your mortgage approval. Once you know why your mortgage application was denied, it may be a good time to take a step back and consider whether the timing is right for you to purchase a home. 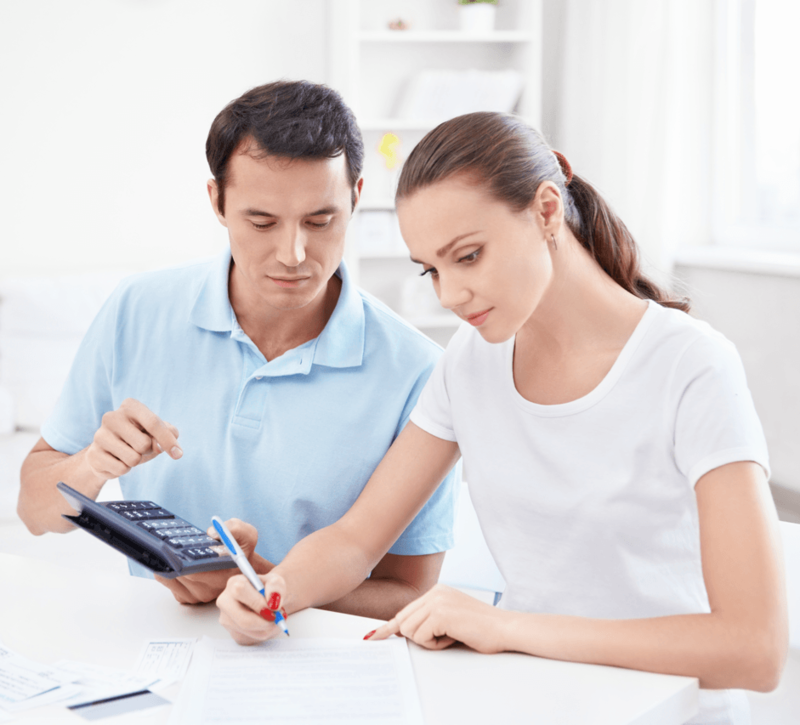 If you carry a lot of debt or are having trouble paying your bills on time, you might want to focus on paying down your high-interest debt and working out a budget for you and your family before you reapply for a mortgage. Paying off debt and sticking to a budget are two financial practices that everyone can benefit from, whether you’re a first-time homeowner, or a retiree! If you decide that this is still the right time for you to consider buying a home, you’ll want to take a look at your loan alternatives. If your application was denied by a major lender (an A-lender), there are other lenders that you can approach with a mortgage application. These subprime lenders (B-lenders) work almost exclusively with buyers that have bad credit scores. A B-lender could be your next best choice if you were declined by an A-lender. If your mortgage application was denied due to a more serious financial situation such as bankruptcy, you may need to work with a private lender. Private lenders are companies or individuals who loan funds backed by real estate properties. If you do choose to work with a B-lender or a private lender, you may be able to get a mortgage, but your interest rates will be higher than if you were approved with an A-lender. Another alternative to finding a different lender is saving for a larger down payment. For example, if a lender is approached by an applicant that has good credit, but can only put a 5% down payment on their home, they will likely get a mortgage because they are a low-risk borrower. If the same applicant had a bad credit score, they would need to provide a larger down payment for the lender to even consider their application (say, 20-25%). Having a larger down payment can give you more leverage when shopping for a mortgage. A higher down payment = more equity = a smaller loan = less risk to the lender. If you were denied a loan by an A-lender, you can consider making your application more attractive by adding a strong cosigner. 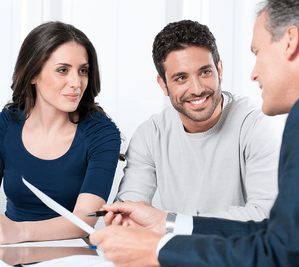 A cosigner is another person that applies for the mortgage with you. If the person you add as a cosigner has good credit and a stable income, this could be an option that gets you in your new home. Remember that a cosigner will be responsible for the repayment of the mortgage loan if you are unable to pay. A cosigner adds another layer of security for lenders as there are two borrowers responsible for the monthly payments instead of one. If you choose to add a cosigner, both of you need to be aware of the risks involved. Your cosigner is just as responsible for monthly loan payments as you are. If you fail to pay your bills, the lender will come after both you AND your cosigner to rectify the non-payment. Failing to make your payments will negatively affect your cosigner’s credit score, so be careful and responsible! Any existing loans will affect your eligibility to carry new loans such as a mortgage. Staying on top of your debts is good practice in general, but doing so can help you get approved. Even if you aren’t able to pay off 100% of an existing loan immediately, you should consider shifting your finances in a way that allows you to start paying off your high-interest debt. In doing so, you’ll free up more of your monthly income to spend on loan repayment. 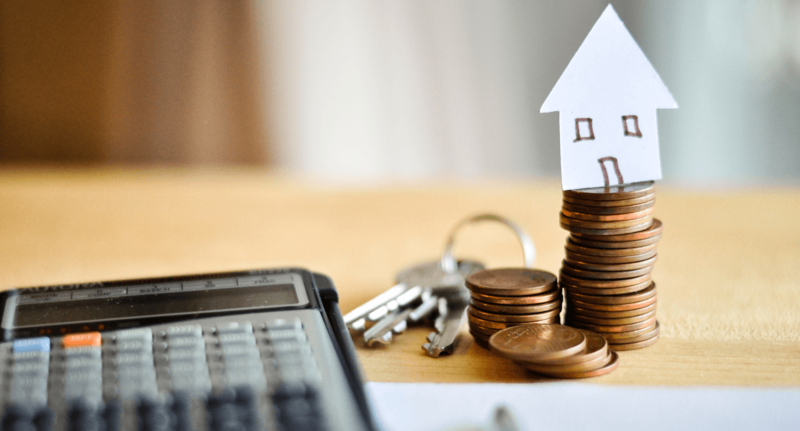 Although this one is much easier said than done, earning more money and increasing your income is worth looking into if you want a mortgage. If you are looking at any life changes that might affect your current income (such as moving jobs, or quitting your current job), you should wait until after you are approved. Even then, any time you take a pay cut or experience a change in your income situation, you should have a plan for making your payments and covering your expenses. As discouraging as it is, there are still options available to you if your mortgage application is declined. With that said, any hopeful homeowner declined for a mortgage should seriously consider whether their current credit situation is something that can easily be remedied, or is a symptom of a larger financial – or lifestyle – issue. Whether you were denied a mortgage or not, practicing good budgeting, making all your bill payments on time, and saving money when you can are great ways to better your financial health. Taking a proactive approach to bettering your financial situation will not only help you during the mortgage approval process, but also for the rest of your life.